• Submit a question about physics or astronomy which I would answer and return to them. I figured most students would just take the easy route and submit questions, which could be of any length, and many did. However, the questions asked weren’t simple! Or perhaps the students thought they were simple going in, but it ended up being quite the opposite when answered. I got a kick out of answering these questions each week so much so that I decided to collect some of the most interesting questions I’ve been asked and answer them* again right here. Will we ever be able to travel outside the Milky Way Galaxy with either a manned or unmanned vehicle/device given the lifespan of humans and the restrictions on speed given by the speed of light? The way I see it, this question is actually a few questions rolled into one. So, I’ll answer them in separate posts. This post will hit the first one. 1. 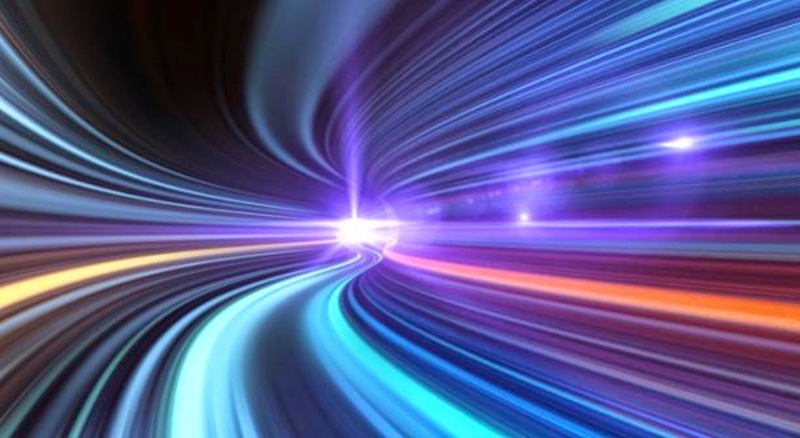 What are some of the limitations of traveling at the speed of light? Let’s start this section by saying that, as far as we currently know, traveling at the speed of light is only possible for massless particles (like photons). This is all because of relativity, and the fact that the faster something moves, the more energy it takes to continue to accelerate that particle. This is especially apparent as you approach the speed of light, where “small” changes in velocity require near-infinite inputs of energy. Eventually you get to a point where the energy required to push that mass faster is laughably high, such that it might as well be infinite. This is all very conceptual, so let’s have an example. I want to have a 1-gram cube of sugar move at 10% of light speed (with respect to my position on Earth). Without taking relativity into account, and assuming we’re not accelerating it up from rest, I just calculate the kinetic energy (energy of an object in motion) of a 1-gram object moving at that speed. That kinetic energy happens to be about 450 billion Joules. 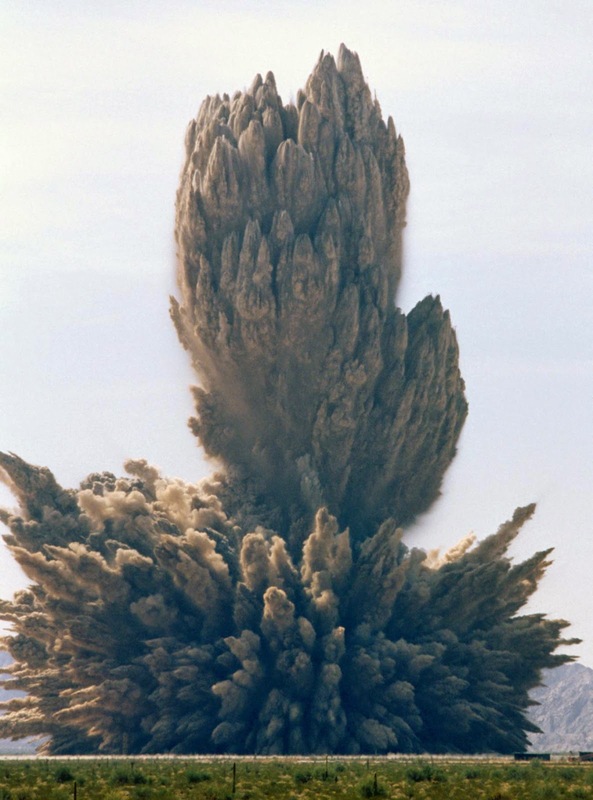 For reference, that’s about the energy released in detonating one hundred and seven and a half tons of TNT. Now, let’s account for relativity. Relativity is special in that when a mass is moving, its velocity modifies its mass. Thus, instead of its kinetic energy being 450 billion Joules, its actually closer to 452.3 billion Joules. That doesn’t sound like a lot, but it is adding another half ton of TNT onto the pile. Not very impressive? Let’s see the difference at 99% of light speed. At 99% light speed, the kinetic energy of the 1-gram cube of sugar would be about 44.1 trillion Joules, or 10.5 kilotons (kilo = thousand) of TNT. Accounting for relativity we increase the mass by a factor of 7, and thus the energy by a factor of 7. Now we’re going from 10.5 kilotons to 74.7 kilotons of TNT in energy—or about three and a half of the atomic bomb dropped on Nagasaki in WW2. And as you get ever closer to the speed of light (99.9%, 99.99%, 99.999%, etc), the kinetic energy of that 1-gram cube of sugar also increases (240 kilotons TNT, 760 kilotons TNT, 2.4 million tons TNT, etc). It just keeps going up! Now let’s replace that 1-gram cube of sugar with the 2,030-ton space shuttle. That means we need to scale up the energy requirement by a factor of 1.84 billion (hahahaha, just nonsense numbers here). This means that at 99% light speed, the kinetic energy of the shuttle would be about the same as about 19.4 billion tons of TNT. That’s more than twice the energy of the largest earthquakes ever recorded. Now just for kicks, let’s say we’re able to bypass limitations of relativity and just accelerate a dude smoothly up to light speed. Perhaps we have a source of infinite energy. Who knows? Anyway, we accelerate a dude without a spacecraft up to light speed. What’s the limitations there? Well, keep in mind that what most of us consider to be Earth’s gravity is an acceleration that our body feels as its pulled toward the Earth’s surface. You experience something like gravity whenever you accelerate in any direction, like the feeling of going up in an elevator (before the speed evens out), or that first bit of liftoff when you’re in an airplane. 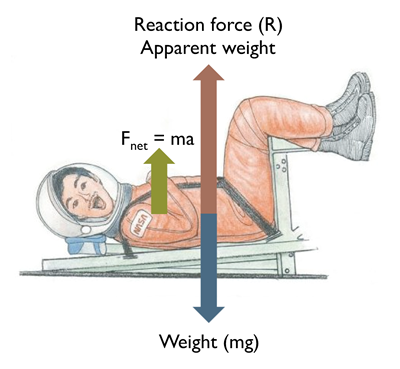 It’s turns out that the human body has limitations on how much of that acceleration it can take, and that acceleration is measured in multiples of Earth’s gravity: g-force. We regularly experience 1g. Duh. 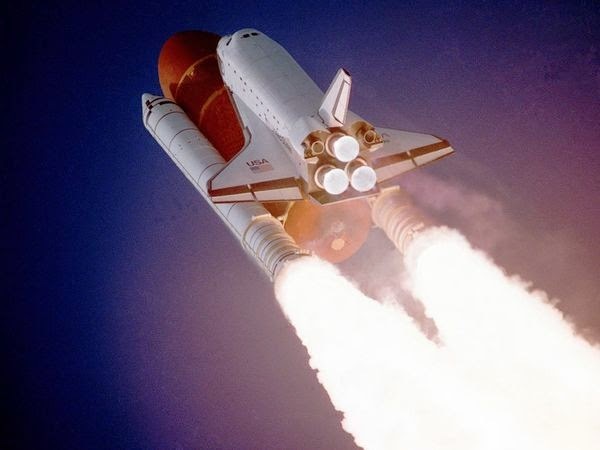 The space shuttle would have pilots feeling 3g at maximum during liftoff and re-entry. Remember, they undergo intense training to be able to handle that. If you undergo sustained acceleration at ~10g for more than a few minutes, you’re not walking away without serious damage. Hell, you’re not walking away. Let’s say for the sake of argument (again, ignoring relativity and practicality) that you accelerate constantly at 10g up to the speed of light. That would mean you’d have to be at a soul-destroying 10g constantly for 51,000 minutes, or a little over 35 days. You could, of course, just accelerate at 3g (which people can take, with difficulty) for 118 days, or 1g for a year, but where’s the fun in that? This is just the first part of the question! More to come later this week! Keep in mind that these calculations are done on the fly and are often rounded. Check the links for more detail and keep in mind that I cut out relativity a lot because it complicates the hell out of things.